2 June 1915 – 19 May 1985. The oeuvre of Tapio Wirkkala, Finland's internationally best-known designer, belongs to the everyday lives of Finns. A good example is Finland's longest-used series of banknotes, which introduced in 1955 and remained in circulation with minor alterations until 1981. 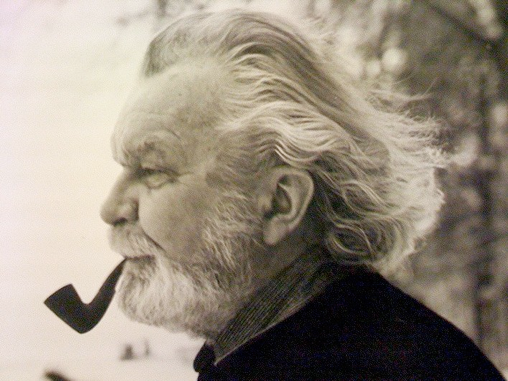 Wirkkala was a highly versatile designer and artist. He designed products of glass, wood, porcelain, metal and plastics, created sculpture and also worked in exhibition and graphic design. He designed glass objects for the Venini glassworks in Italy and porcelain and cutlery for the Rosenthal factory in Germany. In Finland, Wirkkala designed glass for Iittala, the Ahlström corporation, light bulbs for Airam and cutlery and silver objects for the Kultakeskus company. Tapio Wirkkala's works in plywood made him was one of the forerunners of Finnish modernism in sculpture.